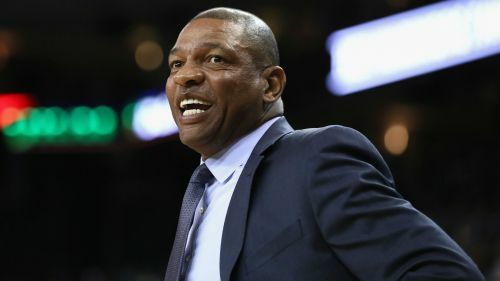 Los Angeles Clippers head coach Doc Rivers almost lost some serious cash prior to Game 2 of their Western Conference first-round series against the Golden State Warriors. Rivers told reporters a stranger returned $2,000 he dropped while walking in the streets of San Francisco ahead of Monday's clash. "I reached in my pocket to grab my phone," Rivers said. "Unbeknownst to me, I dropped about two grand on the floor, on the street and kept walking, didn't know it. "The guy tapped me on the back and said 'Yo, that's your money.' I don't know a lot of places that that would happen, but it happened today. So whoever that was, you could've had free tickets if you hadn't run away." Perhaps Rivers' good fortune can carry over to Los Angeles to help the Clippers even things up with the Warriors. The Clippers fell short to Golden State 121-104 in Game 1 of their first-round playoff series on Saturday. Golden State are the top seed in the Western Conference, so the eighth-seeded Clippers will likely find advancing to the next round challenging. If the Clippers cannot steal one game in Oakland, they will have to bank on strong performances at Staples Center to stay afloat.